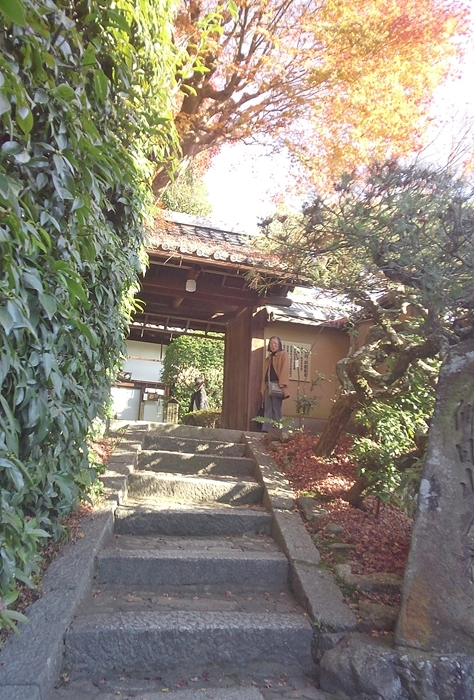 Kompukuji (金福寺), near Keizan Ichijōji Station in Higashiyama, Kyoto, was founded in 864, and is the site of the Bashō-an (芭蕉庵), a hut that the poet visited in 1670 and that was afterwards dedicated to him. 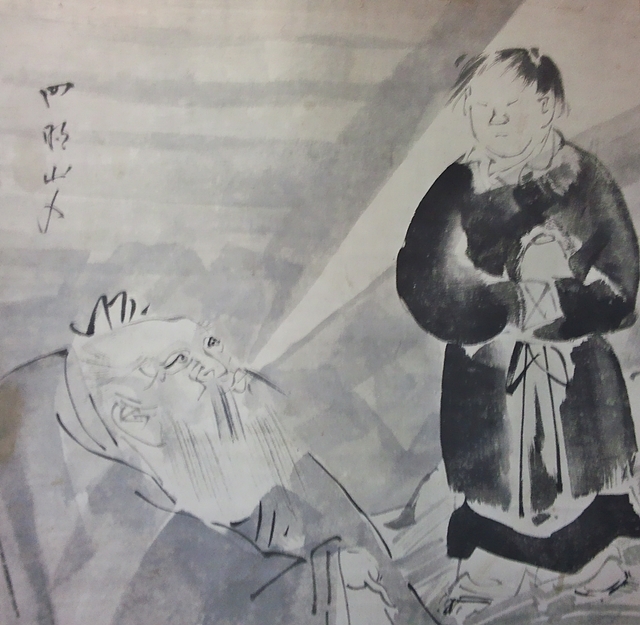 Yosa Buson (与謝蕪村) and his disciples helped restore the hut in 1760. 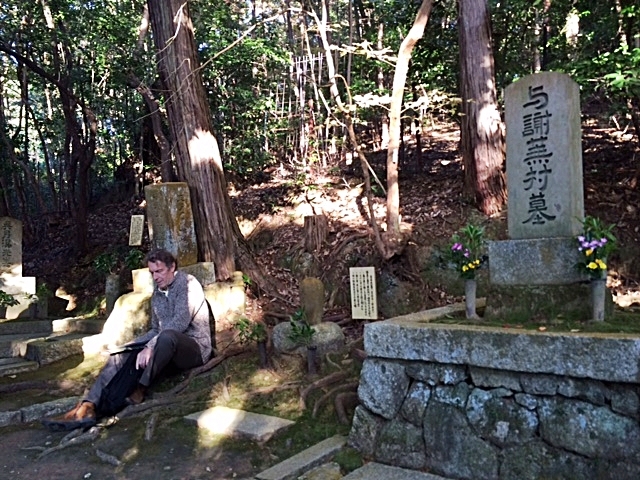 On Buson’s death in 1783, his disciples erected a tomb on the hill overlooking Bashō-an and its adjacent well. 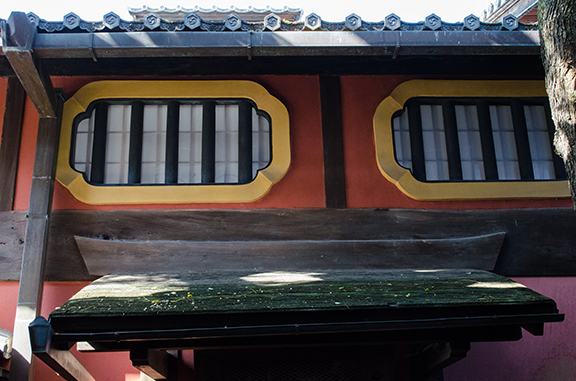 Thus this little-known temple is something of a mecca for poets! We were fortunate, then, that it was quiet on the Saturday afternoon (3 December) when we 15 Hailstones visited, led by Tito. We were able to take our time, even sitting on the engawa (perching boards) of the hut to compose our responses. The guest of honour was Maeve O’Sullivan of Haiku Ireland. Perhaps it was the fact that the autumnal leaves were a little past their prime that staved off the crowds, but we were still surrounded by rich golden and scarlet hues, the light-blue sky above and the soft greens of the moss at our feet forming a poignant contrast. This was Buson’s original, alluded to above in Tito’s haiku. 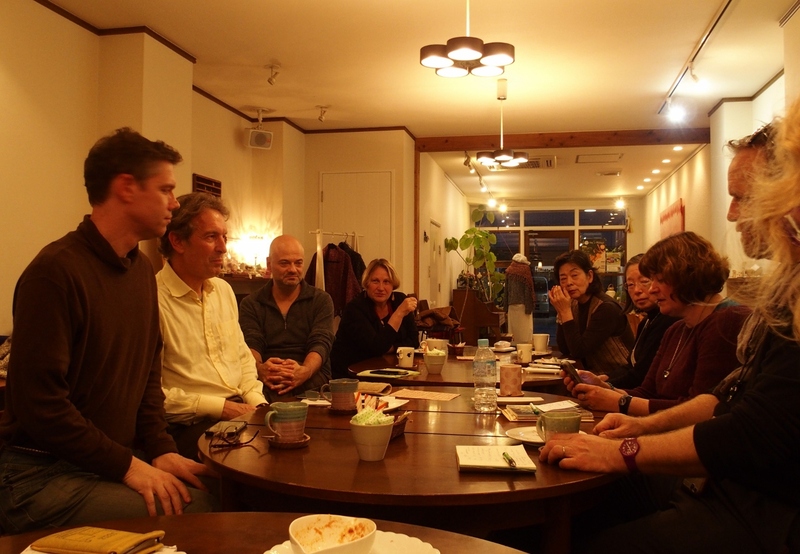 After our extended visit to the temple, we repaired to Café Anone, near the train station, joined by co-organiser Ursula for coffee and cake and the recital of haiku and haibun. Morning, Nov. 15, 2014. 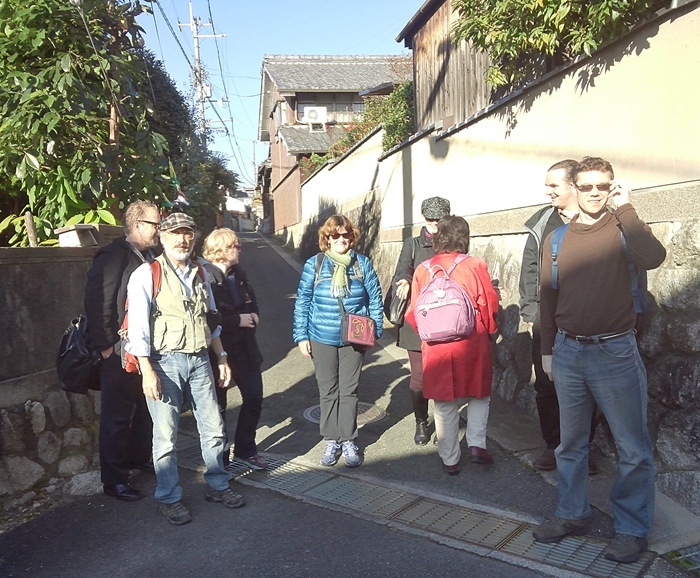 Some Hailstone poets, with special guest, Maggie Chula, on a visit from Oregon, were given a lengthy tour of Kyoto’s largest and finest ageya, Sumiya, in Shimabara district. 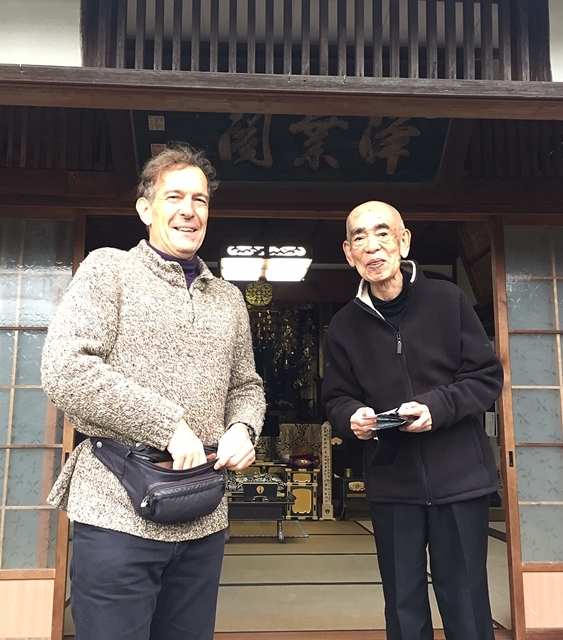 Our enthusiastic guide was Mr. Kiyo Nakagawa, whose family has owned the huge wooden banqueting establishment since 1641, a few years before Basho was born. 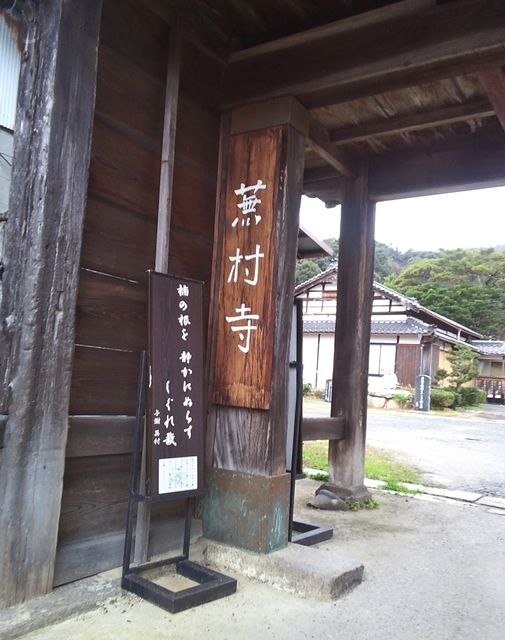 The 7th proprietor, Tokuya, was a member of Buson’s haikai circle. 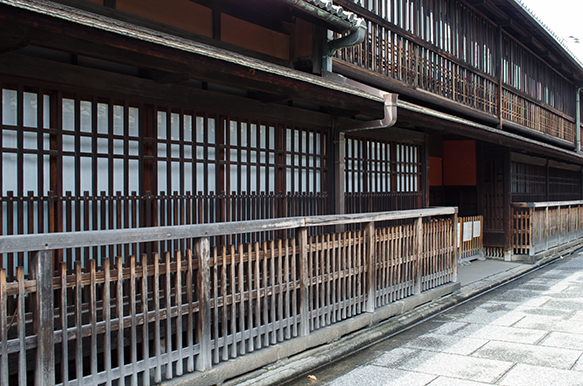 With his poet friends, Buson used to come here quite often to eat and relax in the company of geishas and taiyu (geisha queens). 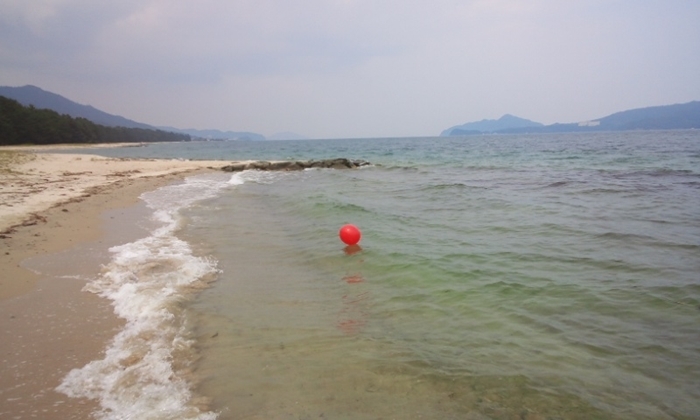 He thought of it as his ‘Peach Blossom Spring’. 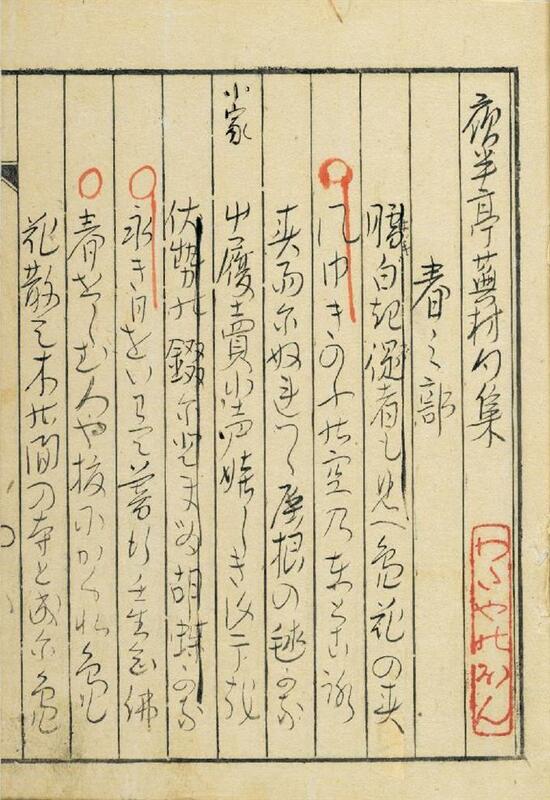 As a result, the house owns several Buson paintings and documents, a few of which we were shown. The exquisite aesthetics of the era were to be enjoyed in every room, including the enormous kitchen. 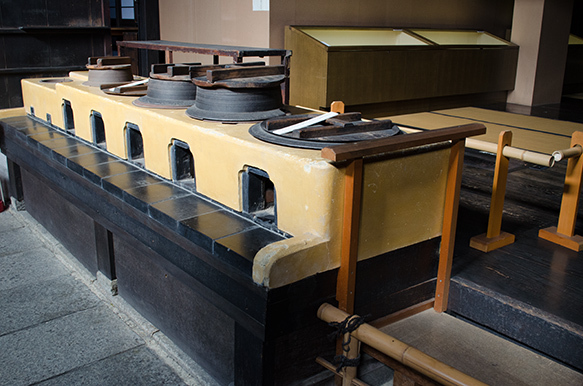 One can now only imagine the taste of the dishes prepared there and then served on beautiful lacquer trays to the merry guests. 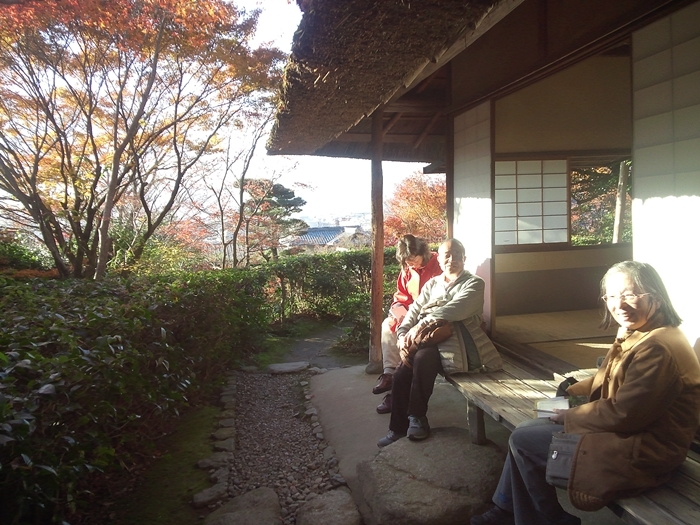 When we finally emerged for a view of the garden, we could not believe that a full two hours had passed. 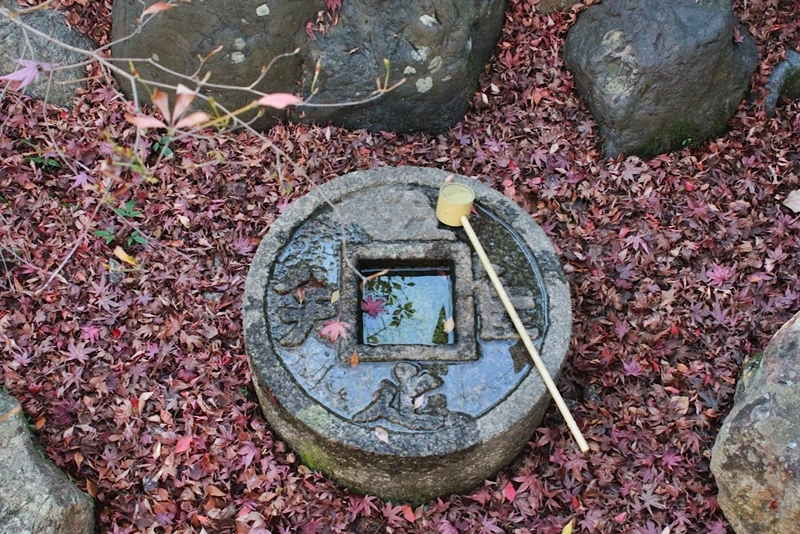 Once our frozen toes had revived, we walked off briskly to a lunch in the autumnal Umenokouji Park nearby. Of the initial 16 participants, 4 now disappeared and, at Ryukoku University’s beautiful Meiji period Omiya campus, we were joined by Icebox assistant editor, Gerald (aka Duro Jaiye) from Singapore and the Stamm sisters from Seattle. 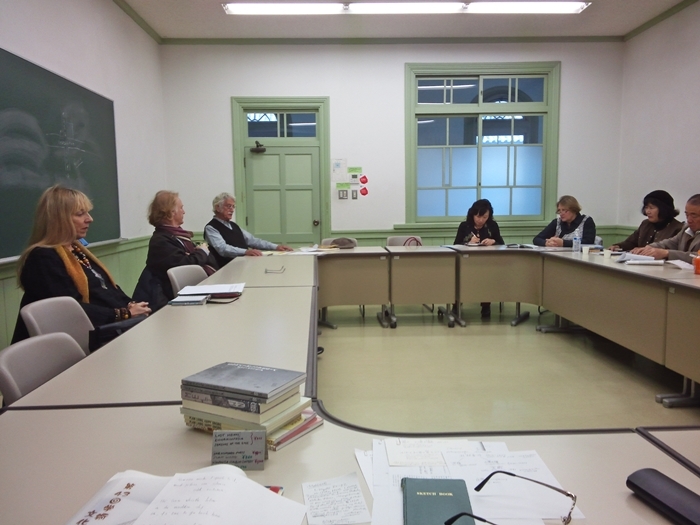 John Dougill welcomed us there in the seminar room. Some Buson haiku were shared before settling into a haibun session. Pieces read included A Visit to Uji by Buson and the 2014 Genjuan Haibun Grand Prix-winning, Well of Beauty, by Margaret Chula. 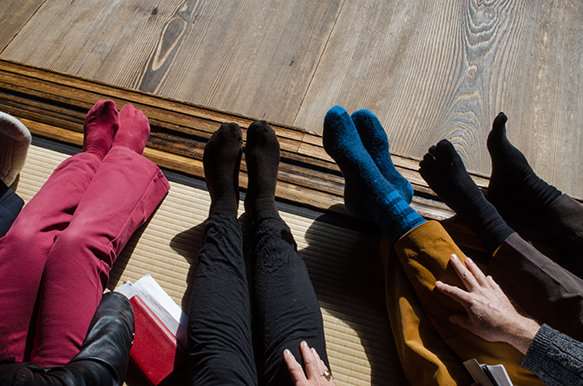 Others who read their haibun included Ursula Maierl, Hisashi Miyazaki, Richard Steiner, Duro Jaiye and Tito. 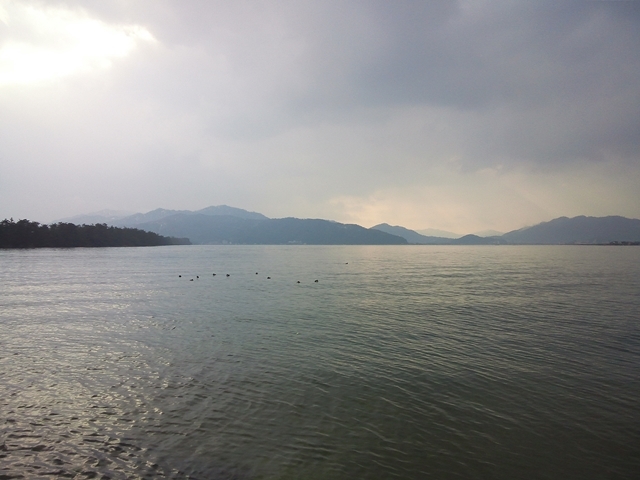 There was some inter-esting discuss-ion of the quite separate developments of Japanese and English haibun traditions, but somehow we all came to feel that Buson would not have felt out-of-place in our company that day.